I studied physics, I have some friends working in basic research, and myself work in applied research in a classical Industry. With this background I am inclined to position myself close to scientific points of view. And regarding Climate Change, scientists majority point of view is that it is happening and happening due to our greenhouse gas emissions. See for example general science telling webs like Neofronteras , or TV programs like Redes 2.0. 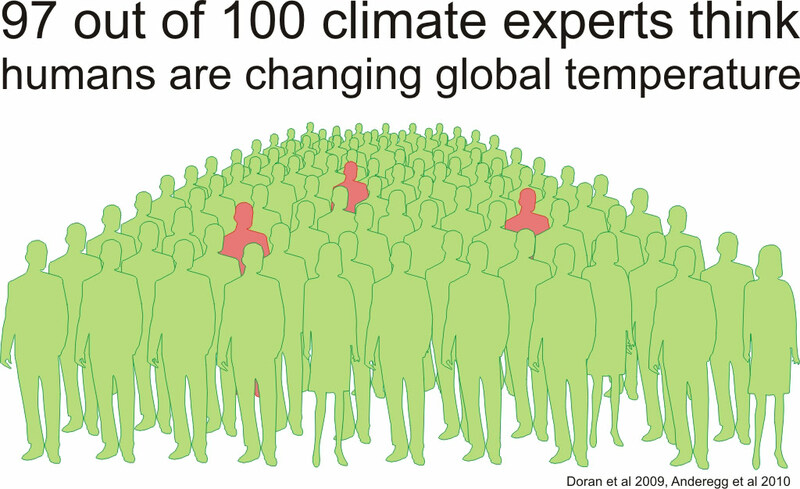 Climate Hawks say there is consensus[LLL], or that science is settled [LLL]. Skeptics say there is not consensus [LLL], and show scientific skeptics, or even collect climate change skeptic papers [LLL]. As this time I am explaining more the feelings than evidence, for me it is clear that science divulgers, blogs and field researchers have a clear opinion: yes they believe in anthropogenic climate change. And this is important for me because I have confidence in science, not blind or absolute confidence, but confidence.I even understand when some researchers get angry about skepticism, it is like considering all their work useless. I sometimes have felt something close to this when after a research with data it is refuted by “feelings” or sensations” or just a decision. But may be it is important to note that CC public debate is not so much about science (only a few people would understand), it is about believing in something that should make us change a lot of things in our living standards or economy, and this is not easy to accept. Just in case, I want to say that apart from my feelings the data I read also confirm a vast majority of climatologists believe in anthropogenic climate change for example the peer reviewed study mentioned in the next figure from Skeptical Science. Margin Call, how much margin we have?